Panarama Design created a three-tiered circular symbol to add emphasis while separating the three word headlines used throughout this direct mail solicitation. 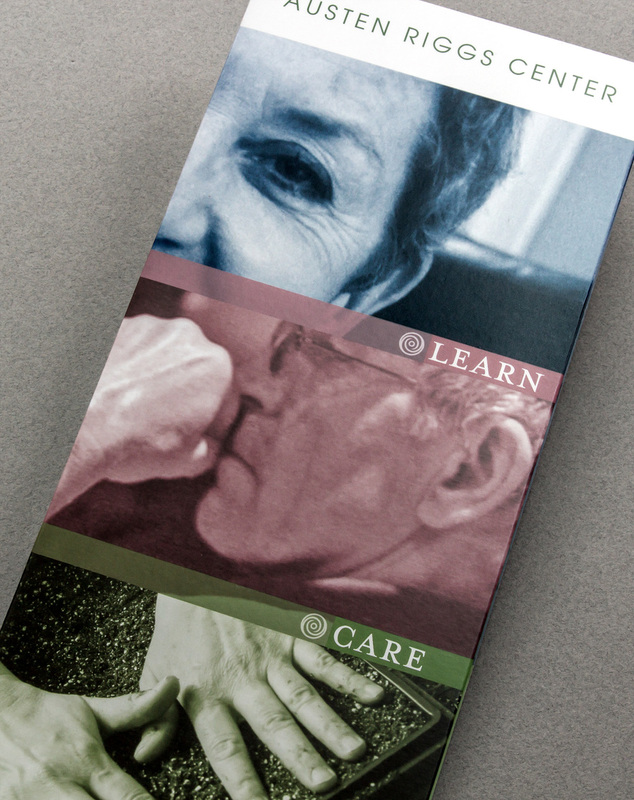 A muted color palette and soft duotone imagery for the Riggs institutional story contrasted the colorful personal photos accompanying the testimonial story provided by a former Riggs patient. The excellent writing and powerful visualization were very successful…the number of gifts to Riggs increased 30% with a total dollar increase of almost 50% over the previous year.